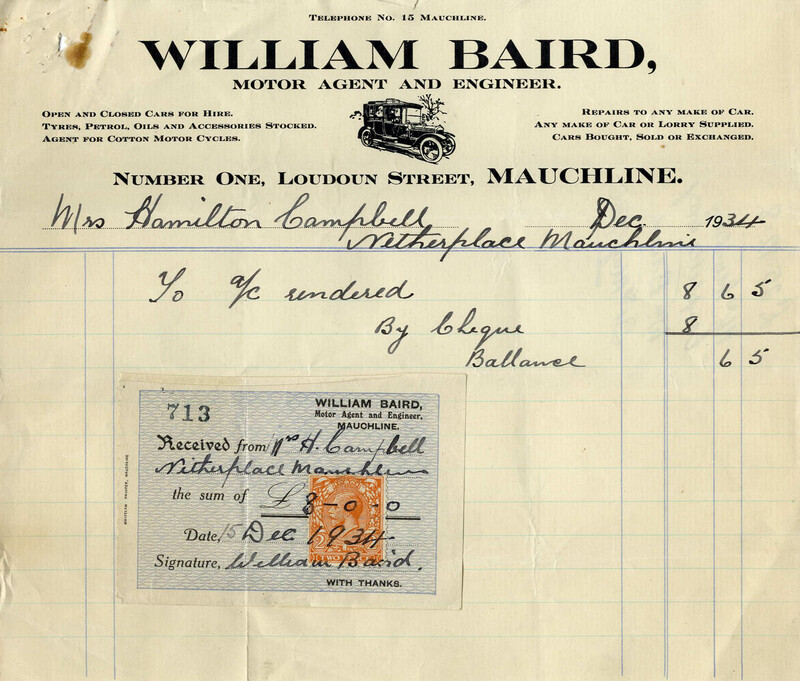 WILLIAM BAIRD was a motor agent / engineer at Number 1 Loudoun Street, Mauchline. 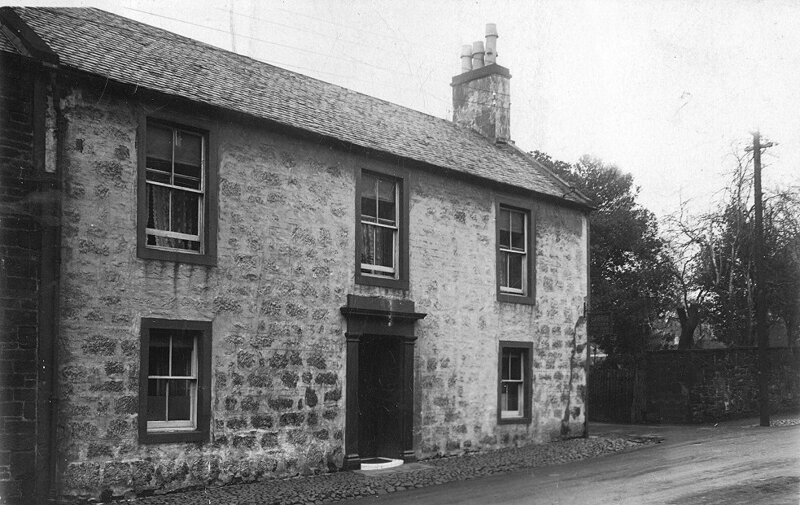 He was the brother of Archie, and John Baird who had a dairy business in the village. 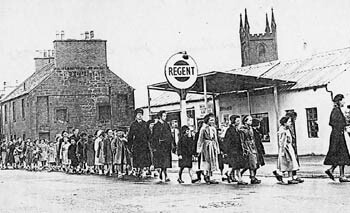 Number 1 Loudoun Street is sadly now demolished, and the site is part of the Loudoun Carpark area. 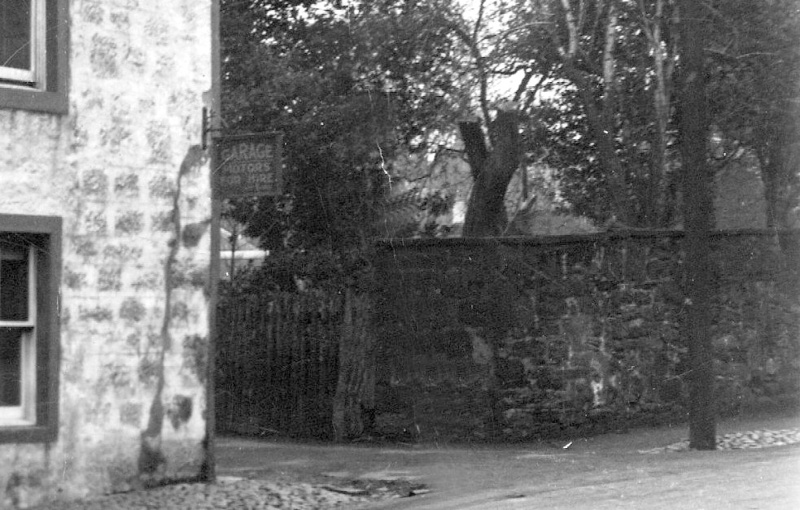 William Baird later took over Burnside Garage in the New Road, (Kilmarnock Road). 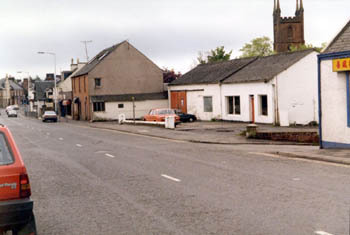 Part of the garage is still there today, although the Keystore sits on the Kilmarnock side of the site. 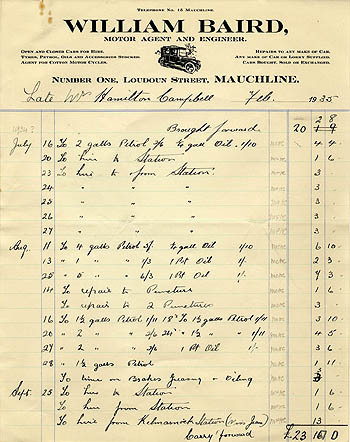 He was in Burnside Garage by 1940, as shown by the calendar below. 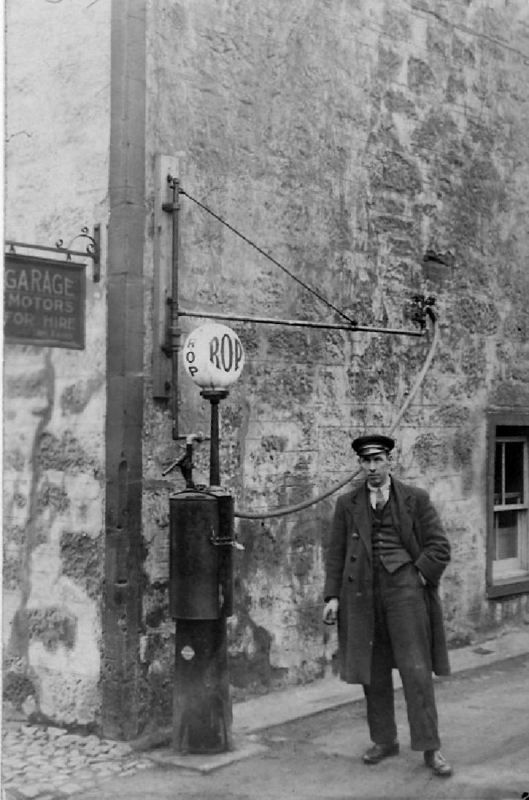 Billheads are from the archives of ayrshirehsitory.com, and the photo of William Baird by his Petrol Pump at Number 1 Loudoun Street courtesy of Wull's grandaughter, Jenny Scott. As you see from the old billhead, William's phone number was Mauchline 15. Two digits. 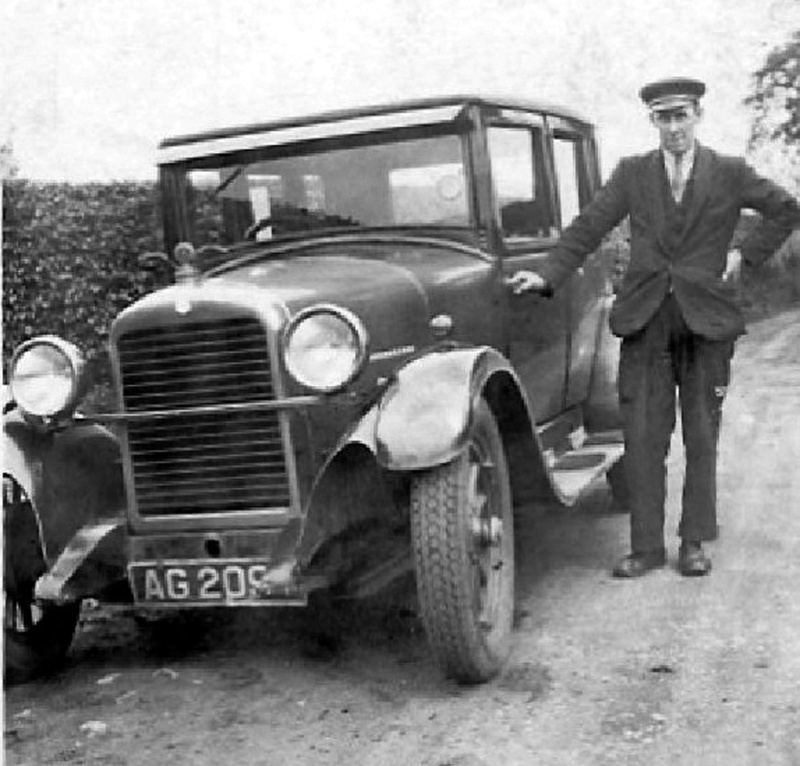 The telephone number by the time he moved to Burnside Garage, was 215. 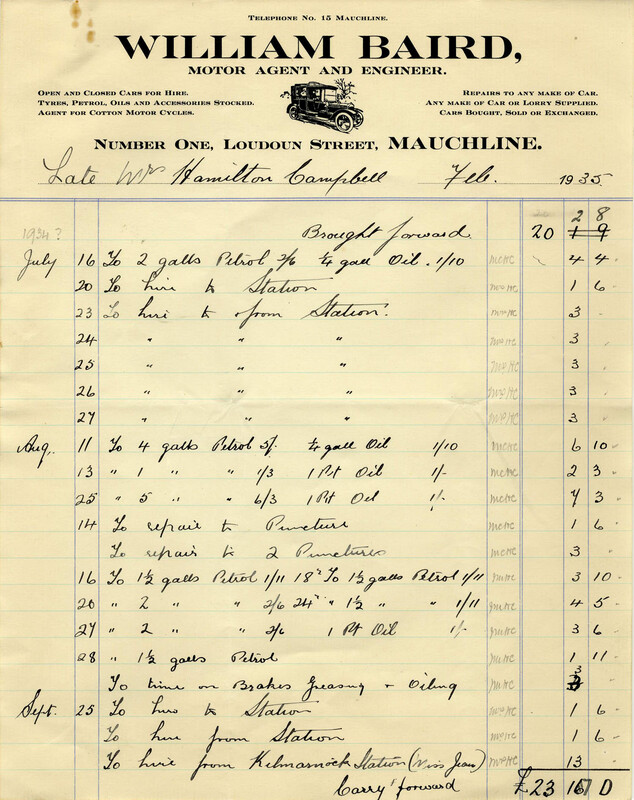 So it seems you could keep the same number, even in those days, when you moved premises. 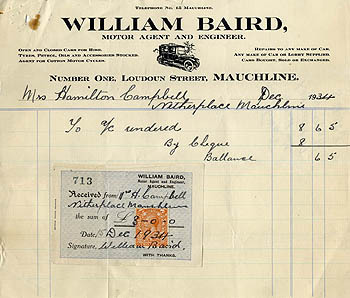 Smaller billhead and recipt from 1934 from Wull Baird, at Number 1 Loudoun Street. On the right, is Wull with his taxi. A view of Number 1 Loudoun Street, from Archie Morton, which was taken from close to where the Post Office is today. 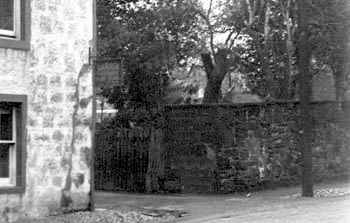 The extreme left of the image shows the gable end of the Loudoun / Fairburn, still standing. 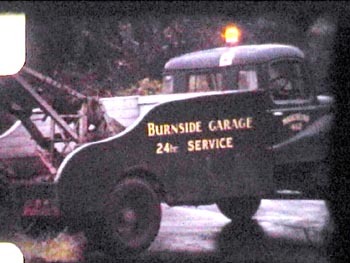 Left: A poor quality photo copy which came via Nancy Moffat of Burnside Garage poss 1950's?? Right courtesy of Robin Tannock, a photo taken by his late father in 1986. The note on the back of the photo dated it. 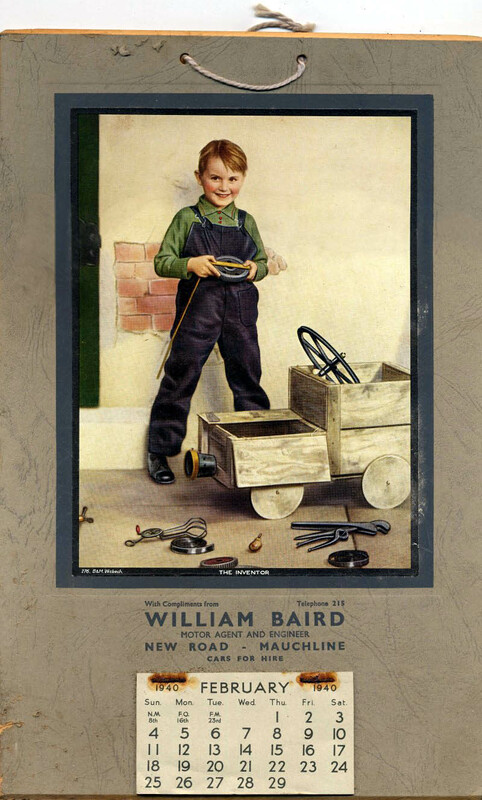 It also mentioned that his first job was 1937 - 1938 serving petrol for W Baird, as well as putting the roof on the building years later whilst employed as a joiner at Auchmillan!! William Baird's old 1940 calendar, courtesy of John Baird. Burnside Garage breakdown truck, taken from a cine movie from the 1960's, so quality is not brilliant. Courtesy of Harry Girvan. This would have been ORR's Garage by this time.